Creation of the fee reimbursement program for the Architectural Experience Program (AXP, formerly IDP). The state reimburses students for the $100 NCARB AXP enrollment fee as they begin the path to licensure. Allowing the use of the titles, “Intern Architect” and “Architectural Intern”. Creation of the Emeritus Architect category. Implementation of the mandatory Continuing Education requirement. Changing the name of the Board to Ohio Architects Board from the Ohio Board Examiners of Architects. Helping to conceive the pilot program for the Integrated Path to Architectural Licensing (IPAL), allowing students enrolled in participating accredited degree programs the opportunity to take the ARE before graduation, thus shortening the path to licensure without diminishing the rigor of the licensing process. In Ohio, the University of Cincinnati is participating in the IPAL pilot program. Creation of rules allowing for the use of electronic seals and signatures. 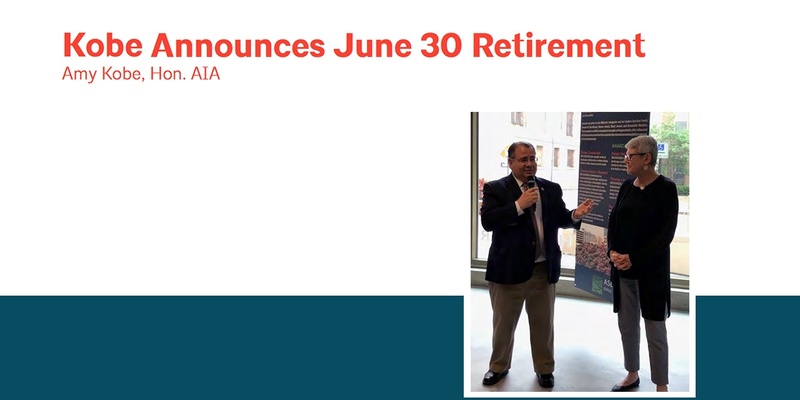 Despite these accomplishments, it is the people I will miss the most: the wonderful members and staff of the Ohio Architects Board, AIA Ohio and its components, NCARB, and all of the licensees and candidates! I have made many enduring friendships these past 21 years. My last day with the Board is June 30; a successor has not been announced. Thank you for the honor of serving the profession!